There are hundreds, if not more, screen printing companies in Sydney, Australia, and beyond. The question faced by everyone initially is how to choose the best one to handle your job? We’ve compiled a check-list of things a reliable screenprinter should always do to help you achieve your goals. 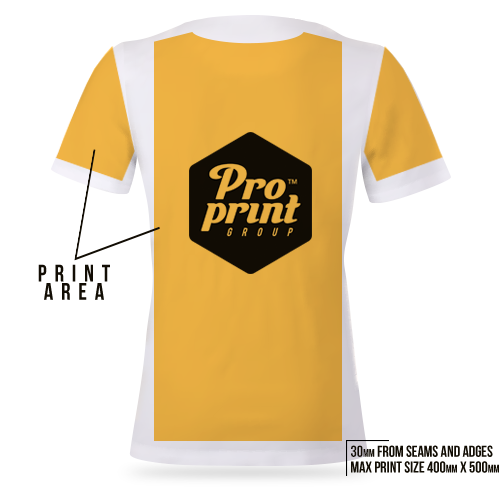 Your choice of screen printer should always leave you feeling confident you’re in good hands, and at Pro Print Group, that’s what we always try and achieve with each client and job, no matter if we’re printing 5 garments or 50,000. In this section we will attempt to provide you with a means to do your due dillagence in working out who the best printer will be for your job and what you should expect from a good printer. Your chosen screen printer should always be contactable, by a variety of means. Their return contact should also always be timely, reliable and informative. Whenever you have a question, want more information on a particular subject or just want to enquire about the progress of your job, your chosen screen printer should be able to inform you in a timely & accurate manner. At Pro Print Group, we always ensure our clients are happy with the speed of our communication and that they can contact us through a variety of means, such as email, phone and fax whenever they like, and that our replies are prompt and ensure you are know exactly what is happening. You want to know what the printer is capable of producing. Every screen printer will tell you they are the best in the business, but results speak for themselves. Be cautious of any printer who doesn’t have examples of their work for you to see for yourself. At Pro Print Group we know that you want to be able to see exactly what we can achieve using our varied processes, to ensure your peace of mind and that we’re not just all talk and that we can back up our claims of being the best in the business. To see examples of some of our work, click on the “portfolio” link at the top of the page or go here. Whether it’s for a quote on your job or for a recommendation of which process would be the most suitable, your chosen printer should be able to tell you exactly what you need to know and any prices that you will be looking at paying. At Pro Print Group we always ensure we are transparent with our clients and that they always know we never hide any charges and that we always provide the most accurate information we can. What this means for you is that your job will always turn out looking the best it possibly can and you’ll always know where you stand. You don’t want to trust your valiable design and image in the hands of a printer whose machinery and infastructure is outdated and unreliable. If this is the case, your results will never be able to be predicted and you may face unplanned and costly delays in recieving your job. The last thing anybody wants to waste is time and money, which is why all our equiptment is state-of-the-art and modern and results are able to be predicted with 100% accuracy, every single time and print. Some of our equiptment is one of only a few in the world! 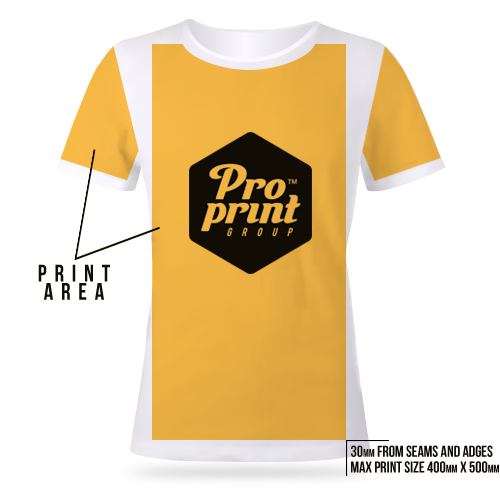 You never have to worry about varied quality levels at Pro Print Group, as from the first garment to the last, they will always be totally unvaried in perfection. At Pro Print Group, we have nothing to hide. We specialise in quality prints and achieving amazing results, and we’re prepared to back that statement up. We advise to be cautious of any printer that doesn’t want to prove anything to you, as if they are as good as they say they are they would have nothing to be scared of. 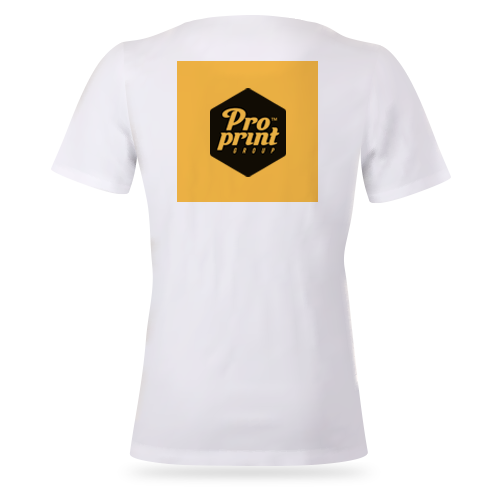 Here at Pro Print Group, we have no qualms in meeting any client in person, new or old. Want to see first-hand how we go about printing garments? No problem. Just get in contact with us and we’ll be happy to schedule a time that suits you to come in and see some of our work first-hand, and to see the printing process for yourself. In order to receive your quote as quickly as possible, please help us help you by providing as much information as possible. The more information you’re able to give us initially, the less questions we have to ask you in return, and the sooner you’ll have your quote! How many garments in total you will be printing onto per design. Will you be supplying the garments? Pro Print Group is able to Supply Garments at wholesale prices. List your preferred brand for quoting. Also please include any artwork you have, even if it is only a rough draft / mock-up, as it will help the quoting process. Want an easy-to-understand guide about how to get your artwork to us and what we need? Easy. Follow the below instructions and everything will be sorted. This part is crucial. Please ensure that you are totally happy with what you will be giving to us. We can advise on how to make any required changes if needed or can occasionally work some magic on sub-standard artwork, but as a rule of thumb we can’t work miracles. If your artwork is bad, your printing results will be equally as bad, but we’re here to help whenever you need guidance in getting your artwork over the line. Get in contact with us to double-check that your artwork ticks all the required boxes. We ask that all artwork be submitted in Illustrator .EPS or Adobe Photoshop .PSD file’s @ 300DPI formats. Explain to us exactly what you’re after with your artwork & how it’s going to be used. We can provide a rough guide over the phone, but we generally require to see any artwork before providing solid information. This is the part where we can personally double-check the artwork against what you’ve told us and give you an OK or not. If your artwork cannot be used, we can provide you with information about how to correct it for printing, or you can entrust our graphics department with re-creating it for you for a cost-effective fee. If this is the case you will be informed in detail exactly what will be required to re-create it and how much you will be charged. Depending on your scenario, we will either send you back some shiny new completed artwork for you to check out and approve, or a mock-up of your artwork in the positioning you’ve requested. At this point you need to double-check you are totally happy with everything we’ve provided to you, as this is what will be getting printed. If you have any concerns or questions, don’t hesitate to contact the Pro Print Group person that you have been in contact with, they will be more than happy to answer any of your questions. 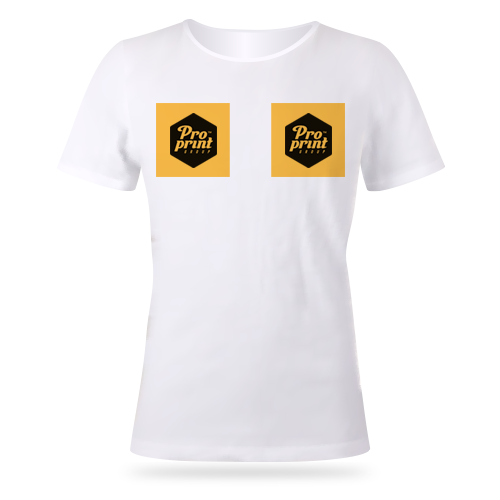 Wondering where abouts on a t-shirt we can actually screen-print your design? Below is a few of the most common positions that we print on t-shirts and the names we call each position. 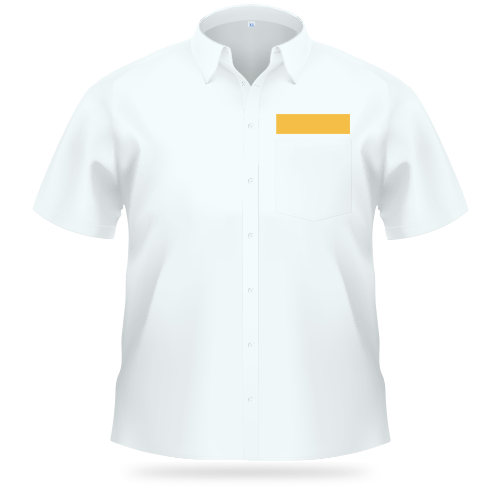 Our maximum print area on the front and back of a t-shirt is 400mm wide X 500mm high, and it should also be noted that we cannot screen print right to the edges / seams of t-shirts, over buttons or too close to collars. We also generally do not print over stitching and folds, for the sake of a great looking design and print. We always leave a 30mm gap between the edges and/or seams and the design, or roughly two finger spaces. This is because when we remove the excess ink, any bumps or un-flat surfaces will cause ink to build up and not be removed cleanly, resulting in a design that has lots of “bleed”, or ink that won’t dry because it is too thick.